In the last month we have pushed live 9 new protocols on the Protocol Exchange! One of the limitations of the Protocol Exchange has been that it is difficult to work out how many times one of the protocols has been cited. 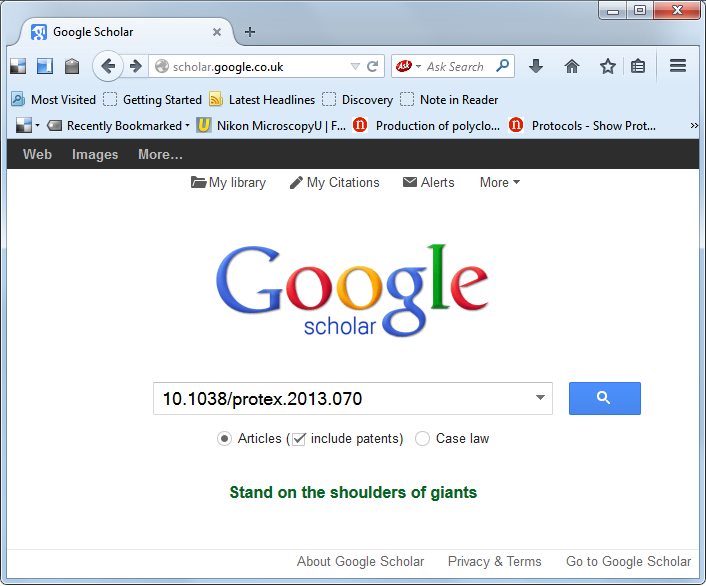 We have recently realized that google scholar can capture this information, and it may be possible to extract a citation report by using the DOI as the search term. 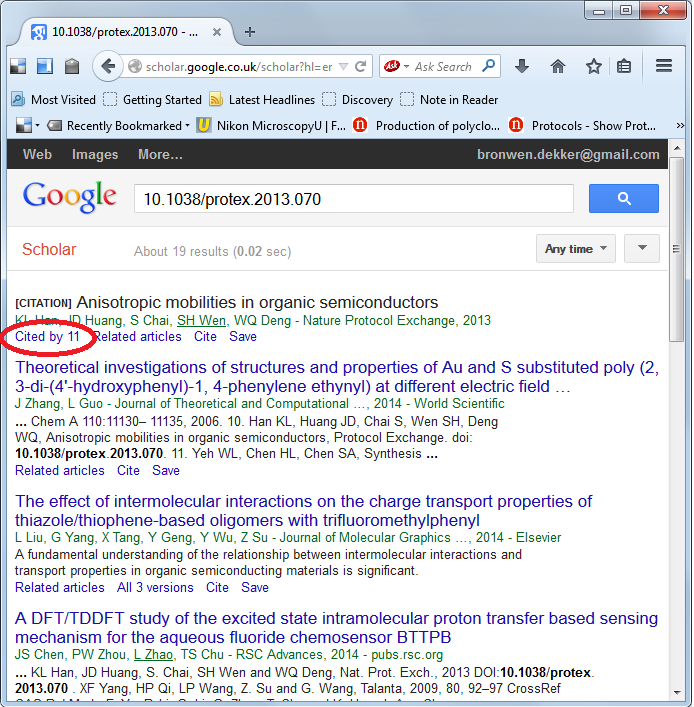 If you wanted to find out how many times the protocol “Anisotropic Mobilities in Organic Semiconductors” had been cited, you could paste 10.1038/protex.2013.070 into the search field of google scholar. I am not sure how this works and perhaps the data should be taken with a pinch of salt, but if you have an Exchange Protocol, you might want to perform the search and see what it spits out!